Happy St. Patrick's Day! 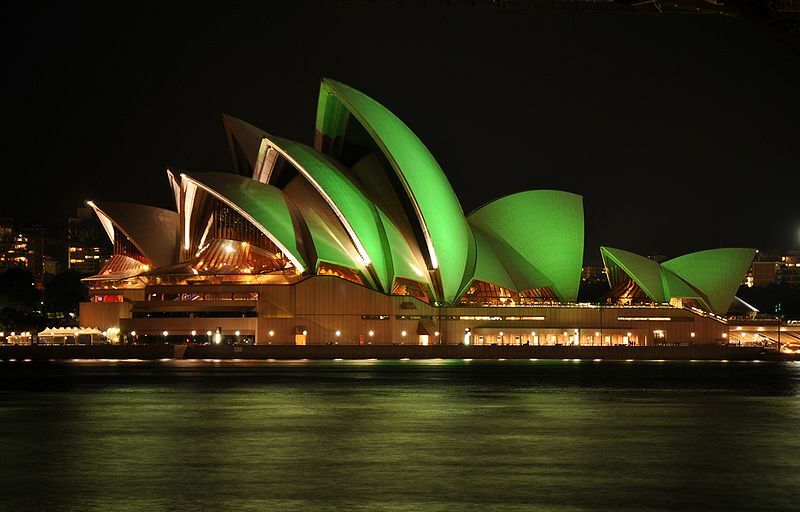 Around the world, people will be donning their green clothing on March 17 as they join in the spring celebration of the patron saint of Ireland, Saint Patrick. All are welcome to join in the fun...everyone is Irish for a day! March 17 is the feast day of Saint Patrick and is observed as the day of his death. During his life, he was a Christian missionary. He was born in Britain around 460 A.D. He was taken prisoner as a 16 year old and spent six years as a captive shepherd. It was during this time that he turned to religion for comfort. After he escaped imprisonment, he returned to Ireland to work as a missionary. In Ireland, Saint Patrick knew how important cultural symbols and rituals were to the people. He used a clover to demonstrate the three-part nature of the Holy Trinity, which is the central belief in Christian faiths. Irish legend even claims that he banished the snakes from Ireland, which is why the island is free of snakes today. Due to the great number of people with Irish heritage, St. Patrick's Day is the most widely celebrated national festival (Cronin & Adair, p.242). 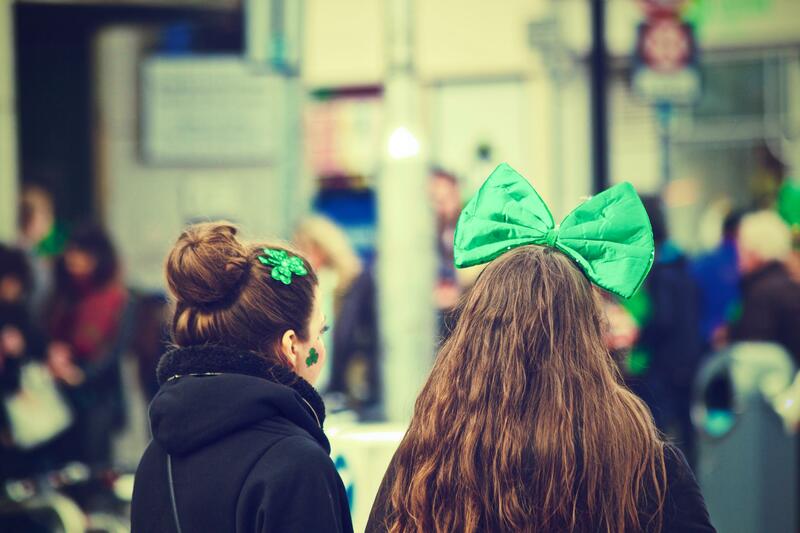 In Ireland, parades and festivals are common throughout the country. Many people choose to spend the holiday with their family and friends. North America was one of the first regions outside of Ireland to celebrate St. Patrick's Day, due to the great number of Irish immigrants to the United States and Canada. Today, the day is an inclusive celebration of Irish culture. For instance, Chicago, Illinois in the United States dyes the river that runs through the city bright green. The St. Patrick's Society of Selangor in Malaysia organizes events throughout the year to gather those with Irish roots. Fun fact: In Sungei Way, there is a Guinness Brewery...one of only five in the world! It is not uncommon to see a bottle of Guinness at the base of a god statue as an offering. The island of Montserrat in the Caribbean has equal Irish and African heritage. Because of this, it is known as the "Emerald Isle of the Caribbean." St. Patrick's Day is an official holiday here, but the celebrations are uniquely Montserratian: the week long festivals also commemorate a slave revolt that was planned on March 17 in 1768. St. Patrick's Day is so beloved that it is even celebrated in outer space! In the past, astronauts have donned green clothing and played a few Irish tunes. Landmarks such as the Eiffel Tower in Paris, the Colosseum in Rome, the Pyramids in Giza, Christ the Redeemer in Rio de Janerio, Nelsons Column in London, and even a section of the Great Wall of China glow green for the day. The rock band U2, with songs "With or Without You" and "Where the Streets Have No Name," is from Ireland. Potatoes perfected; the Irish prepare these tubers in countless ways, resulting in tasty, comforting dishes. Riverdance: The sensational celebration of dance debuted at the 1994 Eurovision Song Contest and featured dancers Michael Flatley and Jean Butler. It remains one of the most successful productions in the world. Inventor John Joly developed a process to replicate natural color in photographs, which were previously black-and-white. The Irish have always had a way with words, as evidence with their quick wit and lyrical poetry. Jonathan Swift, James Joyce, and Oscar Wilde were all Irish! 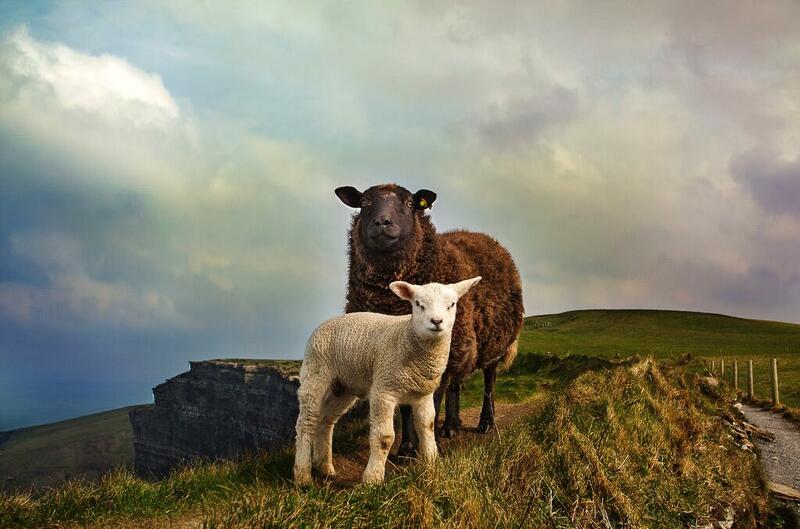 Read more about Ireland in our other blog posts below.